DIVA IS A VERY BEAUTIFUL, AND SWEET DAUGHTER OF OUR GABBIE, AND CH KEYSTONE’S GERONIMO WILDMAN. DIVA HAS A WONDERFUL OUTGOING, EXUBERANT PERSONALITY, SHE HAS NEVER MET A PERSON SHE DIDN’T LIKE. SHE IS PROTECTIVE BY NATURE WHEN AND IF THE NEED ARISES, AS THE BREED IS SUPPOSED TO BE. 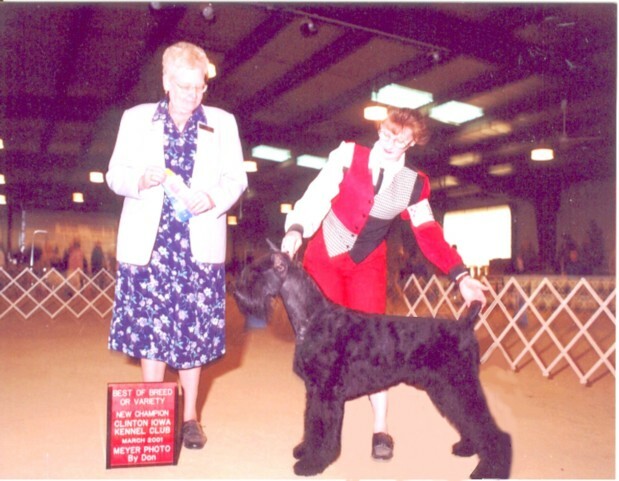 PICTURED HERE AT JUST 15 MONTHS FINISHING HER INTERNATIONAL CHAMPIONSHIP, VERY EASILY I MIGHT ADD. SHE IS ALSO WELL ON HER WAY TO HER AMERICAN CHAMPIONSHIP. DIVA POSSESSES A BEAUTIFUL HEAD, LONG ELEGANT NECK, EXCELLENT TOPLINE, AND TAILSET, AND A FANTASTIC FREE FLOWING MOVEMENT THAT IS OUT OF THIS WORLD. ALL THESE THINGS COMBINED WITH HER PERSONALITY MAKE HER ONE TO WATCH OUT FOR IN THE NEAR FUTURE. DIVA IS OWNED BY JEANIE JOHNSON, JUST ANOTHER ONE OF THE MANY GREAT OWNERS WE HAVE BEEN BLESSED WITH.